There has been an increase in demand in property in Pulikeshi Nagar Bangalore. A number of renowned developers have launched new residential and commercial projects n the area. The demand for real estate in Pulikeshi Nagar Bangalore has increased over the past few months. Splendid Plaza is one of the prime projects in the area.It combines global office spaces, shopping, dining, and entertainment, all under one roof. 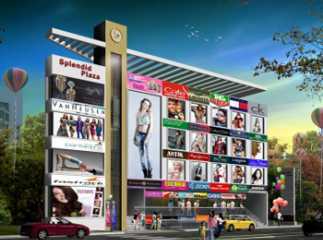 The project has well-designed and easy-to-maintain high-end retail commercial shop in Pulikeshi Nagar Bangalore. Strategically located the project is designed to attract big corporates. The location ensures hassle-free commute to all important locales of the city. The project has all the facilities you can dream of including a kids’ play area, landscape garden/park, power backup, rain water harvesting, CCTV surveillance, multipurpose hall, conference room, and much more. Investing in property in Bangalore is expected to give good returns in the future.